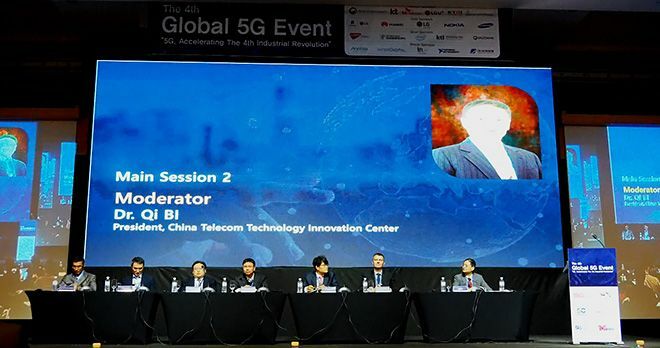 The 4th Global 5G Event was held in Seoul, Korea on November 22 and 23. 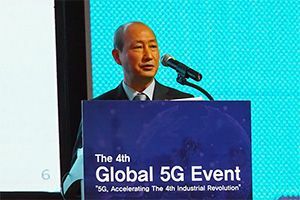 The Event was organized by the Korea 5G Forum. Over 300 participants from 16 countries heard discussions on the Event’s overall theme “5G, Accelerating the 4th Industrial Revolution”. In addition, at the beginning of the Event’s second day, the 5GMF signed a MoC with Turkey’s 5GTR Forum. 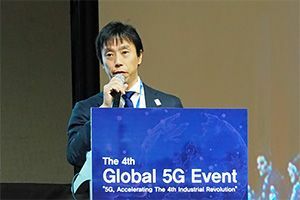 – There were 315 participants from 16 countries, including those from 5G promotion organizations and government ministries of Japan, the US, Europe, Korea, China and Brasil. – The welcoming address was given by Mr YongSoo Kim, Vice Minister of the Ministry of Science and ICT. 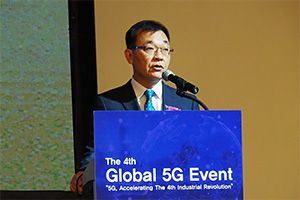 This was followed by the keynote speech, “5G at the center of Hyperconnectivity supporting the 4th Industrial Revolution” given by the Chairman of the 5G Forum, Dr. Seong-Mok Oh, who introduced the activities of KT Corporation. – The opening session began with the introduction of government activities related to 5G. This was followed by discussions on the issues related frequencies, where the audience learned about the difficulties involved in designating unified frequency bands globally and the expectations of multiband support from chip venders. There were also discussions on the state of activities various 5G promotion organizations are working on currently. – The main session included three panels on : 5G deployment and service plans, the current state of 5G verification trials and building cooperative relationships with relevant industries where information was discussed and shared. C-V2X was often used as an example of how verticals could utilize 5G during these presentations. There were also two special sessions. One discussed the state of international cooperation among international organizations. The other discussed 5G during and after PyeongChang Olympics, which included the current state of preparations. – The closing remarks were provided by 5G Americas’ Mr. Chris Pearson, who announced that the 5th Global Event would be held in May, 2018 in Austin, Texas. – At the conclusion of the main program invitees were able to join an Operator 5G tour at demonstrations sites in the city of Seoul managed by SK Telecom or LG U+ as well as see what 5G services that KT Corporation plans to offered for PyeongChang Winter Olympics. The 5GMF and Turkey’s 5GTR Forum signed a MoC (Memorandum of Co-operation) on November 23 before the beginning of that day’s sessions.